This is another one of the first shots that we began working on. It was the ultimate combination of real sets, live-action puppetry and stop motion. Devin built the plane out of clay and filmed it on fishing wire. 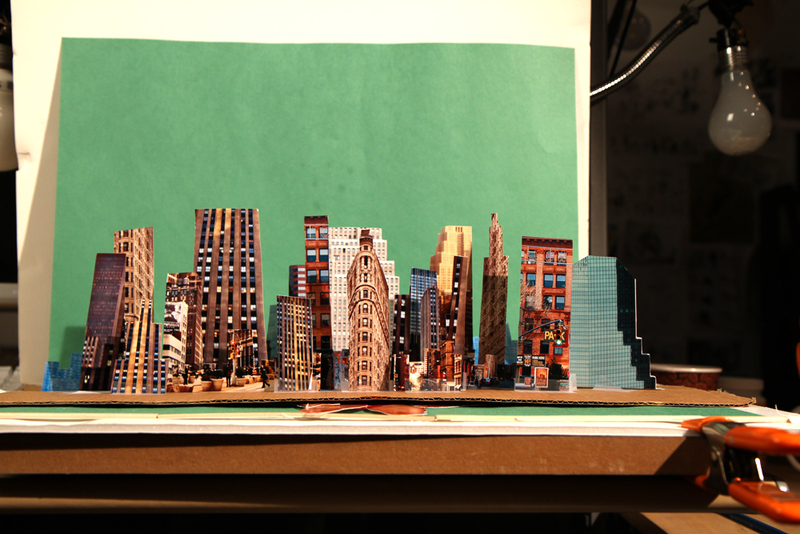 Evan built the NYC skyline with paper cut-outs. 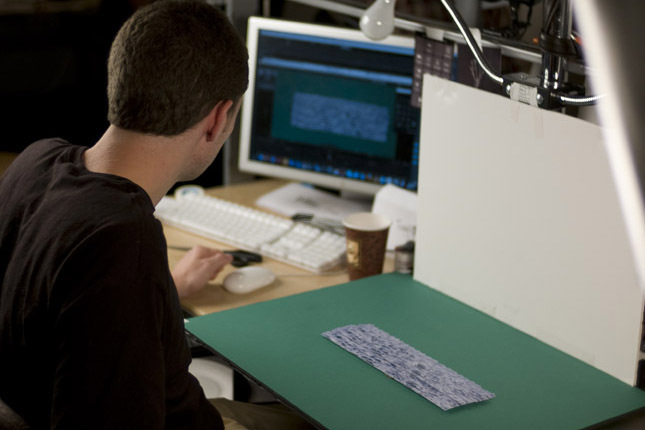 Ian designed and animated the waves on the down-shooter and Devin animated the splash with tissue paper. At the end, Ian pulled all the pieces together and threw in one his fancy, back lit tissue paper backgrounds. This entry was written by paulhanges and posted on December 27, 2009 at 4:25 pm and filed under 2009 Year in Review. Bookmark the permalink. Follow any comments here with the RSS feed for this post. Trackbacks are closed, but you can post a comment. Nice job with the city. Looks so real.